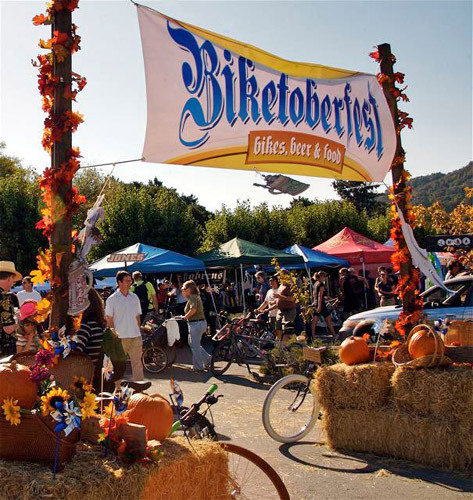 Biketoberfest Marin Returns Saturday, October 10! 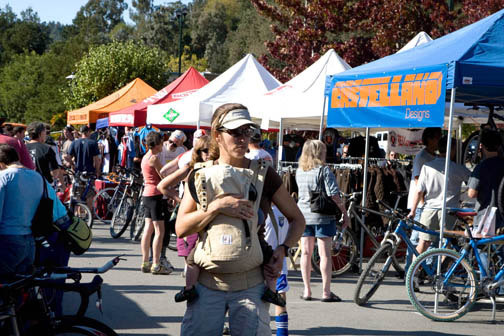 Biketoberfest is Marin County’s premier bicycle event, held in Fairfax, the birthplace of the mountain bike. The event caters to all who ride bikes, including mountain, road and transportation cyclists. 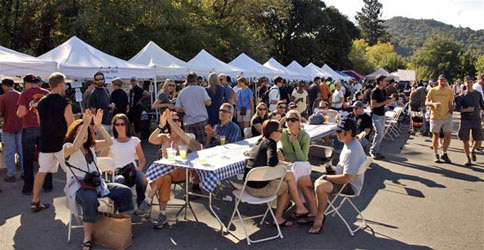 It combines a handmade bicycle show with a brewfest, featuring the best Northern California has to offer! Biketoberfest features a bike expo, vintage bike show, family activities and live music. • Beer tasting featuring over 20+ different beers from 18 different Northern California Brewers! • Handmade bikes from Steelman, Retrotec, Sycip, Rivendell, Soulcraft, Calfee and more! • Soda tasting for the kids. • Classic bike show featuring 40 vintage bikes! • Group road and Mt. bike rides and a Poker Run to benefit the Drake NorCal team! • Iron Springs Brewer’s 5th Anniversary Celebration following Biketoberfest! 765 Center Blvd. (next to Iron Springs Pub and Java Hut), downtown Fairfax, Calif. COST: Free. Includes bike expo, vintage bike show, kids activities and music. BEER TASTING: The Biketoberfest beer tasting features over 20 beers from 18 Northern California brewers. The fee for tasting is $20 ($25 day of event) and includes a commemorative Biketoberfest 8oz. glass. Proceeds benefit bicycle advocacy in Marin County. in Marin County, the Bay Area’s premier cycling destination. too bad mtn biking wasn’t invented in fairfax and all of the sweet singletrack is illegal. High marsh – northside is sweet, but it’ll cost you 300$.